What if it doesn’t have to be hard to lose weight? What if the opposite is actually true? Imagine a way of eating that involves no calorie counting, no restricting, no starving, no forbidden foods, no eliminating and no weighing your food! And you are still able to lose weight. Imagine a WAY of eating where you can still eat everything (YES, I said everything) you WANT while maintaining a positive sense of being in CONTROL! Imagine if you could stop overeating without trying to FORCE yourself to eat less. Imagine if you had the motivation to work out because you actually found a movement you LOVED. Imagine if you understood EXACTLY what your body needs to function at it’s best and FEEL REALLY GOOD! Imagine feeling COMFORTABLE and AMAZING in your body! Did you see it? Can you feel it? and it’s actually easier than you think. This program helps you master essential healthy habits so it simply becomes “what you do” as a normal baseline. What we’re aiming towards is not some quick-fix, but rather making changes that last. We will address how to make YOU a priority in the midst of your busy lifestyle. The thing is, when you start to really take care of yourself, it radiates into every area of your life. My health, nutrition and lifestyle knowledge will be focused only on you with twelve 45-60 minute weekly calls that take place in the comfort of your own home via phone or skype. Discover which foods are best for YOUR specific body, so that you can naturally gravitate towards those foods and stop the stress and guesswork around food for good. What lifestyle habits heal, nourish and support your body and well-being. Discover how to relax and bring mindfulness into your daily life. How to find exercise you LOVE, without ever needing to step into a gym if you don’t want to. How to stop sabotaging yourself so that you can stay successful on your journey. Why, HOW you eat is just as important as WHAT you eat, so you can lose weight AND still enjoy the foods you love. How to satisfy your deepest needs so you don’t need to turn to food for comfort. How to change the way you think so that you see the results you want even faster. How to set yourself up for inevitable success so that this doesn’t become another program you start and can’t finish, no matter how busy you are. Support and accountability using holistic and transformational coaching methods to successfully guide you through the habits you want to master. Allowing you to reach your goals faster than you would on your own. Access to me through email and text for extra support. Experience freedom and turn healthy habits into behaviors that last! We often struggle to make changes last, even when the need is obvious and our intentions are strong, we often fall short. With the regularity of weekly sessions and the development of weekly actions and daily mindfulness, we become skilled at the art of living a peaceful, healthy and happy lifestyle. Are you ready to finally invest in yourself so that you can have the body, the health, and the life you’ve always wanted without the hassle and stress of trying to figure everything out on your own? I invite you to schedule a complimentary Total Body Transformation Breakthrough session with me so we can see what is possible for you! 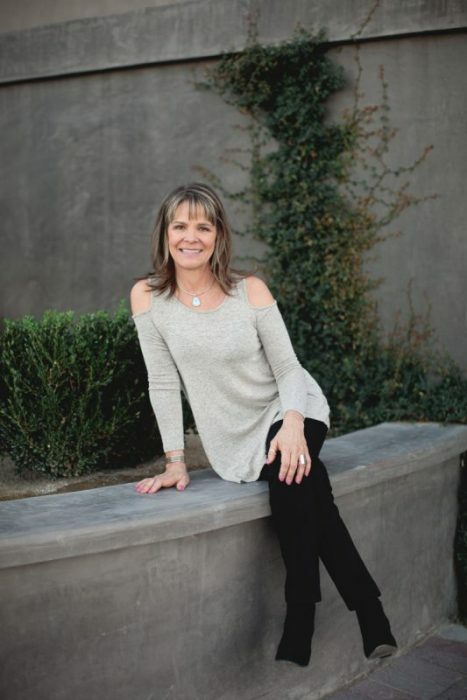 I’m Angie Bergen and I am a certified Health and Wellness Coach , and I’m Medical Intuitve and I am certified in several Alternative Energy Healing modalities. Over the course of 13 years I have combined what I feel is the best from these modalities for healing your Body, Mind and Spirit, tying all systems together. I work with people in person, by phone, Skype or Zoom. This is a batch of home made Kim Chi. It turned out really good and it’s nice and spicy🌶🌶 ⁣⁣ Fermented foods are good for your gut. It feeds the healthy bacteria in your small intestines. Without the right amount of good bacteria you can have a host of digestive issue. ⁣⁣ ⁣⁣ I eat my fermented foods at the start of my meals as it helps to get my digestive juices flowing. ⁣⁣ ⁣⁣ Did you know that your digestion starts in your mouth? You have 3 different types of saliva that start to break down your food. ⁣⁣ ⁣⁣ If you are looking to make your own fermented foods you can search online, as there are a lot of yummy recipes out there. ⁣ Let me know what’s your favorite fermented food or drink. It’s the start of the weekend for most people and it’s also a holiday weekend. ⁣ ⁣ This weekend take some time to do an activity that brings you joy. So many times we forget to do fun things. It’s no wonder people lack energy for life. We get so busy working or taking care of our family’s that we forget to focus on ourselves. We forget to have fun. ⁣ ⁣ Go out and do something fun this weekend, something that makes your soul happy.❤️❤️ Do this just for you!⁣ ⁣ Tag a friend or 2 that needs this reminder. I got my copy of @izabellawentzpharmd Hashimoto’s FOOD Pharmacology. Love the book. It’s so easy to read and makes so much sense. Plus the recipes are bomb😋😋! ⁣ I was diagnosed with Hashimoto’s about two years ago, I read Isabella’s first two books and put the protocols into place and I was feeling good. My symptoms were under control. Then sometime towards the end of 2018 things shifted, and I started not feeling great and having a lot of symptoms; being lethargic, not sleeping well, weight gain, depression, anxiety, and the one that bothered me the most was hair loss. ⁣ ⁣ In March I started @andreanakayama Functional Nutrition Digestive Intensive course. And so much made sense with what she taught, and what I was learning. ⁣ ⁣ Now I’m on a mission to find the root cause and to take care of what Andrea says are non-Negotiables. April 1st I changed my diet to #autoimmunepaleo I’ve had a low grade infection which I’m now dealing with. I will figure this out! For now I just want to get ride of the infection, so lots more probiotics to counter act the antibiotics. Double tap if you are suffering from a health issue you haven bee able to figure out. If you don’t take the step to change what you either don’t want or something you do want. Nothing will ever change!⁣ ⁣ There is no need to make huge changes at once, those are usually not sustainable, though if you change one small thing, say drinking 1/2 your weight in ounces of water every day, you will start feeling better in your body. You feel better you have more energy. You have more energy, you get more things done. You are happier because you feel better 😁⁣ ⁣ Small habit changes and affect every other area of your life. ⁣ ⁣ I challenge you to give it a go starting today! I’d love if you’d comment what small habit change you are going to make. I tried another drink instead of my usual afternoon coffee. It was a Maca Latte 😋😋. It was better than I though it would be.⁣ ⁣ Here the recipe I used for a large mug:⁣ 2 tsp Maca powder⁣ 1/3 can #traderjoes coconut cream⁣ 1 tsp #traderjoes maple syrup ⁣ Hot water to fill the rest of the mug⁣ Put it all in my #vitamix on high for a few seconds ⁣ ⁣ And voilà a Maca Latte. I will be making this ⁣again. It’s a nice afternoon treat.